Right, so Rosh Hashanah is the Jewish New Year (I bet my Buzzfeed readers knew that one!) which is exactly what you think, a celebration of life and hopes for a happy and healthy new year. 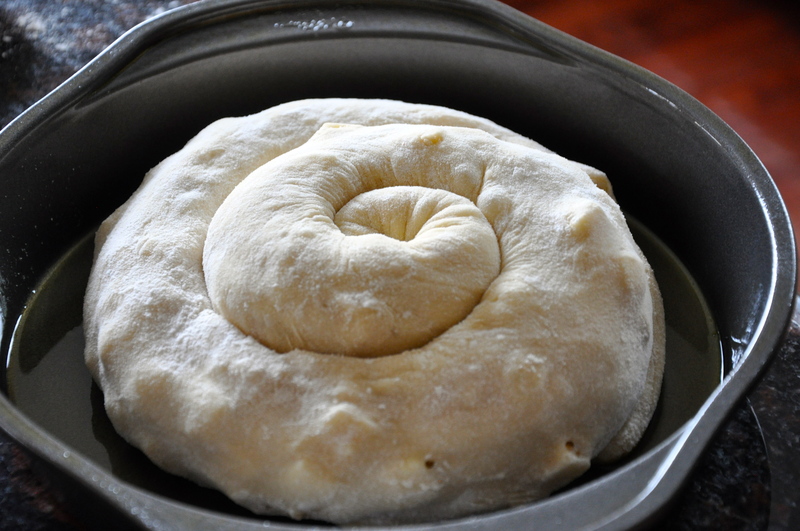 So why a round challah? Most of you might know Challah as a braided bread, but for Rosh Hashanah Challah is round – to symbolize a circle of life, and cycle of a new year. Apples carry a similar symbolism for this high holiday; Jews are ALL about symbolism. We eat apples dipped in honey for a sweet new year; so this challah is made with honey, apples, apple butter, and baked in a circle! This recipe came from The Kitchn and is super fantastic! The Recipe seems kinda complicated, but is REALLY easy as long as you read it through first! 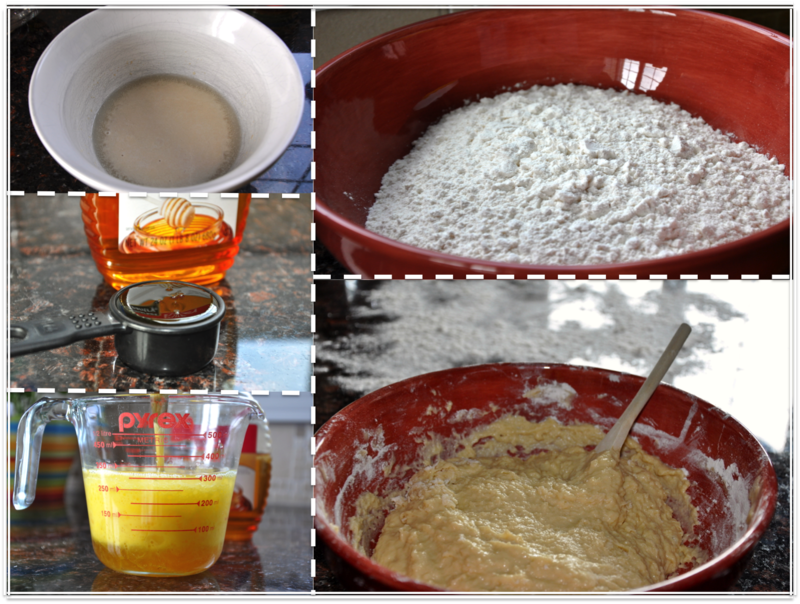 Scroll down to the bottom for full recipe! There were some pretty big developments in the kitchen this week with all the cooking and baking for the holidays, I had to SHARE the kitchen. Not only did I share the kitchen, but my mom and I made the challah together! I know, but we both survived and enjoyed ourselves! Turning over a new leaf this year I guess! 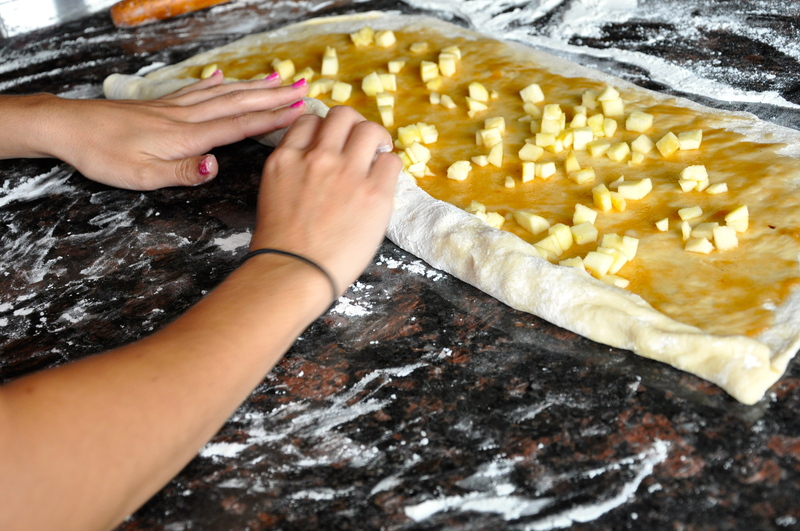 After the challah sits and doubles in size, it’s ready to be rolled! After making the dough, letting it rest, letting it rise, and halfing it – making this challah is somewhat like making strudel! 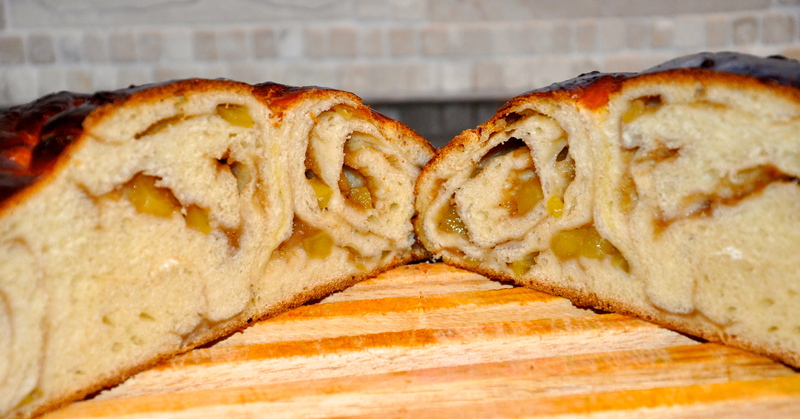 Roll it thin, fill it with the apple butter and apple pieces, then “strudel roll it tight” into a long rope. (Those are my mom’s words). 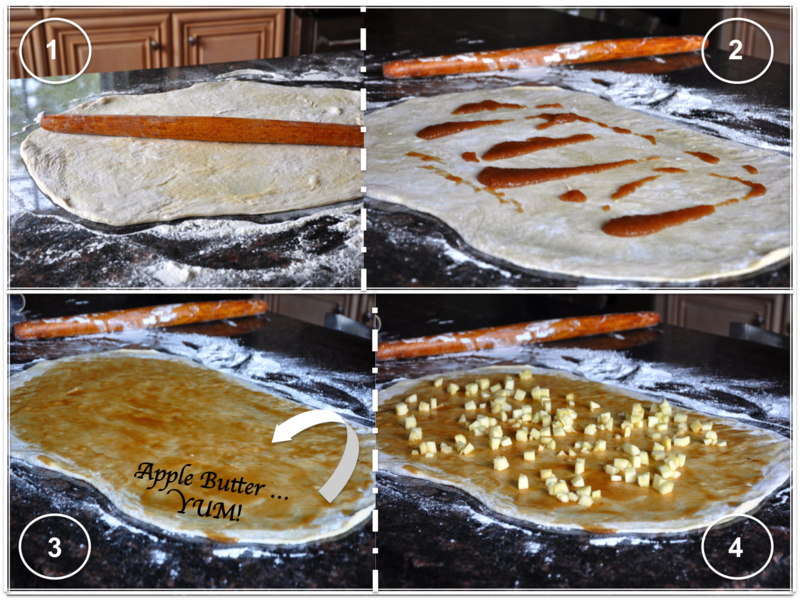 Roll it, Butter it, Spread it, Apple it! Rolled and circled – the key is to tuck the end completely under the middle. Happy New Year! Hope that even if you don’t celebrate the holidays you’ll give this challah a try – it’s completely fantastic and beyond delicious! It’s not bragging if I’m recreating somebody else’s recipe, is it? 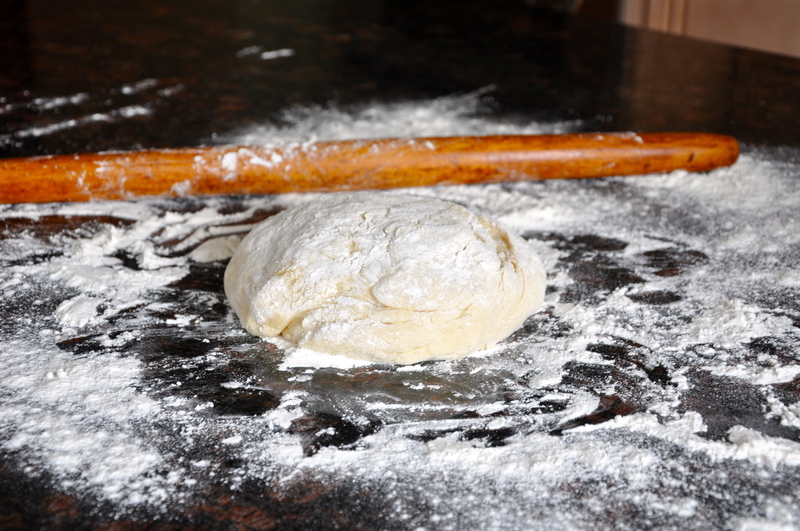 Til next time – Happy baking! Uncover the challah and brush with a second coat of egg wash. Bake until deeply browned and cooked through, 45 to 55 minutes. (An instant read thermometer inserted in the center of the loaf should register 195°F.) Remove from oven and let sit 15 minutes. Carefully remove from the pans and let cool on a wire rack. I told my family about your apple butter challah over Christmas time! We are definitely going to try it sometime! Looks delicious! 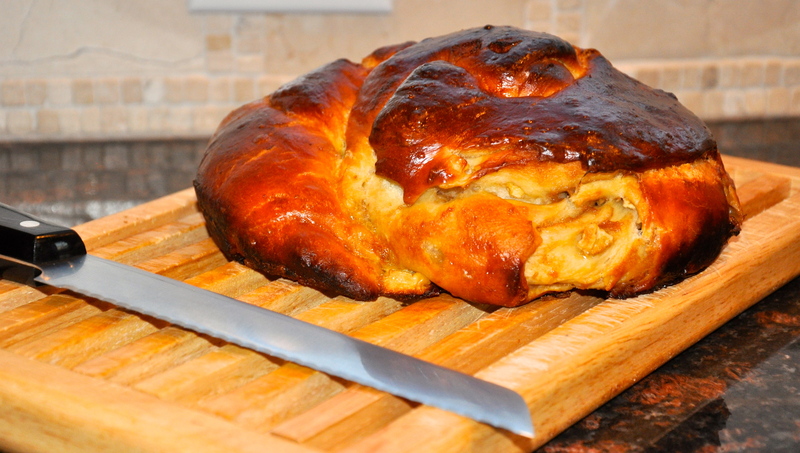 Omg Magsauce- it is BEYOND fantastic challah! Can’t wait to hear how it turns out for you all! This challah looks amazing and I can’t wait to try it out! Thank you for sharing! Mmmm .. I love challah bread. It’s been a long time since I’ve had a good one too. This looks amazing, I have never had Callah before but I really want to try this recipe after viewing your mouth watering photos! Thank you so much Tracy! 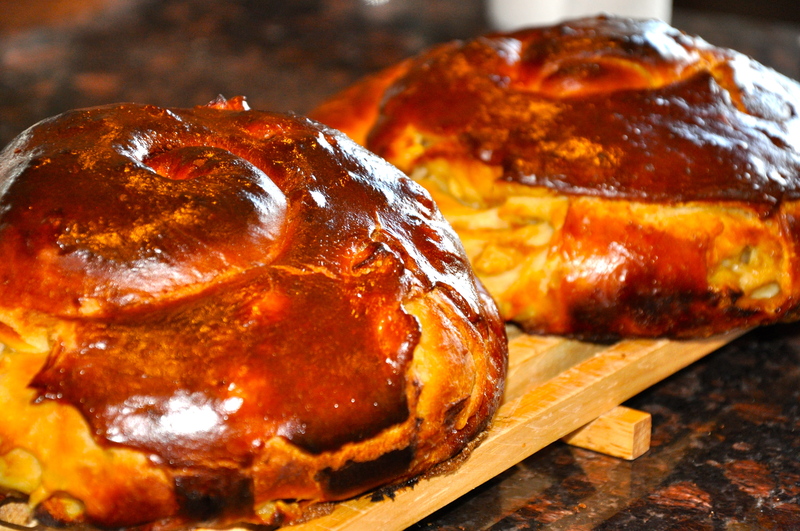 Challah is probably one of the best surprises, its so simple and just so fantastic! Definitely give it a try!